452 pages | 22 Color Illus. | 84 B/W Illus. The nanosciences are a rapidly expanding field of research with a wide applicability to all areas of health and disease prevention. 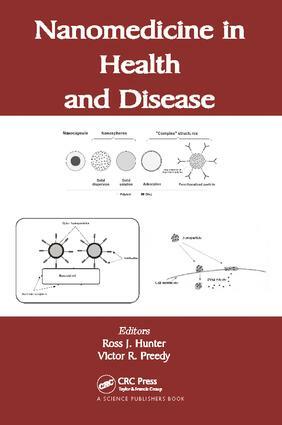 This book, covers the regulation of nanomedicine, nanotubes, topical applications of nanoparticles, nanocrystals, antioxidant nanoparticles, lipid nanocapsules, nanotheragnostic colloids, nanotechnology in the control of infectious disease, virus-based nanoparticles and the safety of nanoparticles. It also covers nanomedicine in relation to pulmonary drug delivery, the control of infectious disease, radiation protection, arthritis, cancer nanomedicine, blood diseases, neurodegenerative disorders, and tissue and implant engineering.